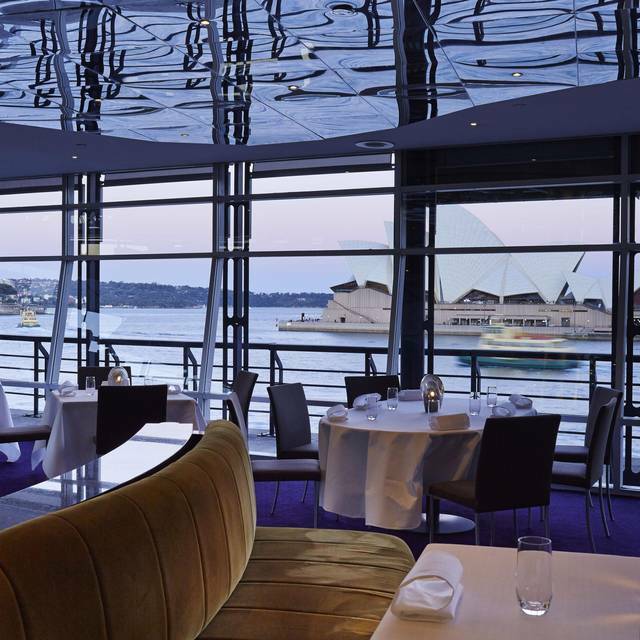 Sydney's Quay Restaurant crafts Peter Gilmore's inventive and contemporary cuisine with an evolving menu based on local and seasonal ingredients, served in its welcoming and elegant eatery. 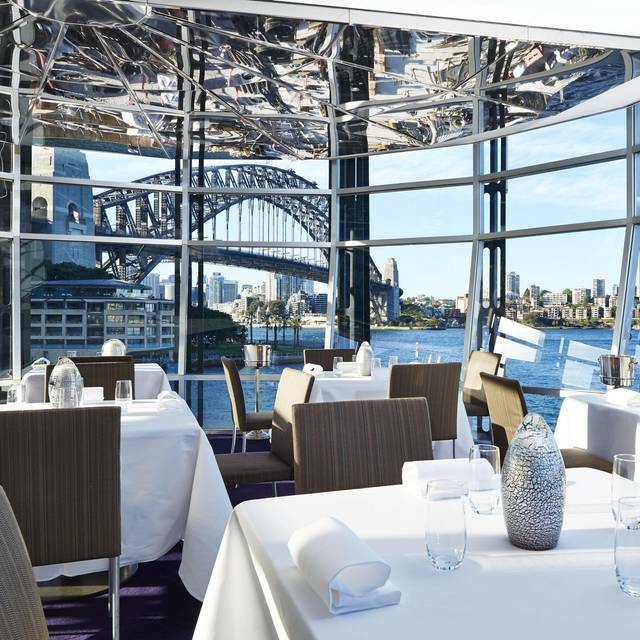 Meals at Quay Restaurant consist of a four-course meal, with starter options including the saltwater poached chicken with smoked eggplant cream and oscietra caviar and the raw smoked wagyu with horseradish sour cream, fermented rye chips and mushrooms. Popular main dishes, like the master stock duck with pickled turnip and XO miso sauce, the slow-cooked quail with koji grain and seed porridge and prunes and the vegetarian stone pot organic green rice with tofu, orach, cabbage and seaweed, all of which are beautifully presented and pair perfectly with Quay's extensive selection of wines. For a superb end to your meal at Quay Restaurant, enjoy the gourmet cheese plate or the eight textured chocolate cake. Whether you are hosting an intimate sit down reception or an elegant cocktail party reception, we are able to provide a space capable of catering to your every need. My family and I were totally disappointed with The Quay. 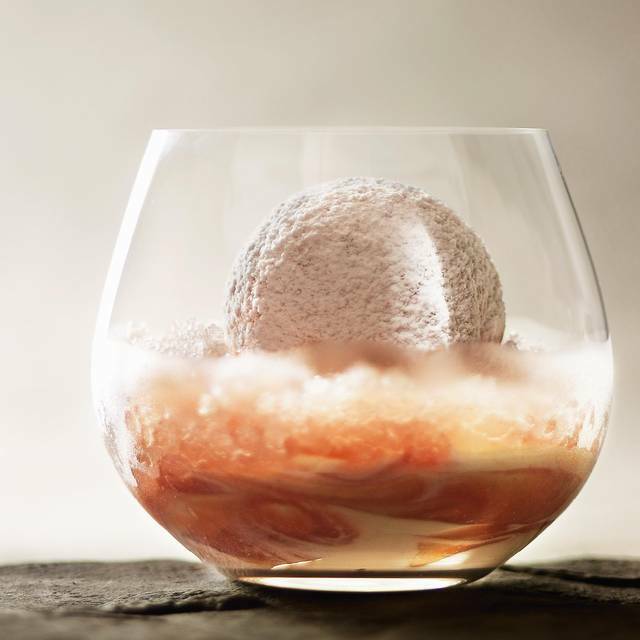 We think it survives on past reputation, the view and diners wanting to try Peter GIlmore's Snow Egg. The view is lovely but our table of four had one person looking out to a construction site! The wait Staff make no effort to be engaging, portions are tiny, dull in taste and presentation and its completely overpriced. Renovations begin end of March but it seems the restaurant has already closed its doors in attitude and quality! I remember dining at Quay years ago - when degustation cost $125 and was much better than Tetsuya's. Have always wanted to return. I am a great admirer of Peter Gilmour's talents and enjoy Bennelong Raw & Cured Bar especially. We had an 8 course tasting menu. It started well, with tasty dishes and attentive staff. Then after the Pig's Jowl, the mains tasted bland.. Where was the variation in texture and appearance? The quail, fish and lamb were plain unappetising. Sadly did not meet our expectations. The staff were very pleasant but the service so slow all the way through dining. Took a long time to order aperitifs and the food had arrived before the staff took our order for the wine. All the staff seemed too busy dealing with the customers on the tasting and wine pairing menu. Food was good but the price commands more ‘wow’ factor. The coral trout was over cooked and bland. Simply excellent at all levels. For a high end culinary experience, the staff make certain you feel welcome and special. There’s no sense of being reproached for using the wrong fork! As far as value for money goes, it’s all relative, as there’s no doubt it’s an expensive way to dine. But you take away more than just a full stomach. For nearly four hours, over a ten course dinner with matched wines, we were enthralled with every minute of it. And you take those memories with you for a lifetime. Quay was such a treat! Definitely one of the best restaurant that I have ever been to. Very classy yet comfortable. Lovely staff who where very knowledgeable. Great view and atmosphere. Perfect for a special occasion. Exceptional service, beautiful views, delicious food and a wine list as long as you can imagine. If you need somewhere for a special occasion, Quay Restaurant is your place. The experience was amazing and the food was fantastic, every morsel was a burst of pleasure for the senses. The only thing I have to say was that it took far too long to have the tasting menu. We were there for 3½ hours to have 8 courses. Far too long. Also the person who was explaining the different wines to us which came with each course was quite knowledgeable about them which made us appreciate the wine but her Asian accent was too strong and it made it very hard to understand. Fantastic views of Sydney Opera House and Harbour Bridge. Very high quality food and outstanding service. One of the best restaurants we have visited. We had a perfect evening for a special birthday treat. All courses of the Tasting Menu were excellent, and the accompanying wines complemented food could not have been bettered. Special mention must be made of our Sommelier for the evening - her knowledge was wide-ranging and added greatly to the occasion. A bucket list dinner! Stunning views as you enjoy amazing food whilst in the care of attentive and educated staff. Can't recommend Quay enough and the snow egg is the perfect way to finish the degustation! Food and service was amazing. The view and ambience were a little spoiled by a ship that was docked which was blocking the view and reflecting light through the windows. In future would make enquiries to see if there was a ship in dock. Booking process, Ambience, Service, Quality of food & presentation were great. But, having dined in some of the other 'Top 100' restaurants (Attica, Brae, Andrea, Burnt Ends & Odette), I must say the food wasn't as delicious as in those restaurants. Wonderful restaurant with absolutely stunning food, first class service, amazing views! Cannot think of a single negative thing to say-it is just perfect for a special occasion! The location and view is fantastic. Food innovative, and service absolute tops. We had the tasting menu at Quay and all the dishes were delicious. I found the service hit and miss. Empty glasses were removed from the table yet no further drinks were offered. We had to ask to order drinks twice. Great view although fine dining food it is not I’m afraid. what an experience it was not only the lavish food or the spectacular service or even the breath taking views it was a combination of something that is hard to describe all I can say is it was the best dining experience of my life . Stunning Tasting menu. Every course was exquisite and the pacing of the meal could not be faulted. Sommelier gave excellent advice on a comprehensive wine list. The experience lasted just over three hours and by the end our taste buds had been thrilled and our stomachs nicely filled. We regularly frequent restaurants in Europe with three Michelin stars and this venue was right up there along with the very best. My fiancé wanted to visit Quay to sample a Snow Egg and for her 40th birthday it looked a great treat for us both. Quay does not disappoint in any way. The location, the food, the staff, the wines & the views makes it one of the best places I’ve ever eaten. The staff matched our wines & we enjoyed every minute of the 4 hours dinner took. We had the tasting menu with the premium wine match and added the extra cheese course. First of all, the interior was looking very tired. We found the food served very poor. All dishes were colourless, this didn’t give you an appetite. The taste of the food was far under average. and acted a bit like robots, no warm personalities. There are so many restaurants in the city where you get better food, service, ambiance and value for your money. 1) turned up at 5:52pm for a 6pm reservation and basically told to bugger off we're not open yet. 2) told the tasting menu takes approx. 3hrs, then told we have to vacate the table by 8:30pm ... do the math. Apart from that staff were very good ... food however was very bland on the whole and lacking in flavour IMO, there wasn't a single dish that made me go wow! Im not a regular fine diner but have been to a few and Quay is at the bottom of the list for me personally. Great food, but degustation meal portions were very small apart from the snow egg. Wine list well curated, with excellent recommendations by the sommelier. However, the waiters spoke too quickly and did not enunciate their words when introducing each dish. Went for the annual wedding anniversary visit, we were married at Quay in 2011, been back every year with exception of one year. Will be back next year. It’s a food journey and a wonderful experience. Food and people at Quay - Sensational!! Great food and cocktails. Nice service from the waiters and waitresses. I like how they explained the food that you had been served. Great views perfect for a special occasion. Our waiter even went a fetched a cab for us at the end of the night to end a great dining experience. Will definitely recommend to family and friends. Almost a perfect meal, although it's hard to think of what makes it 'not' perfect. 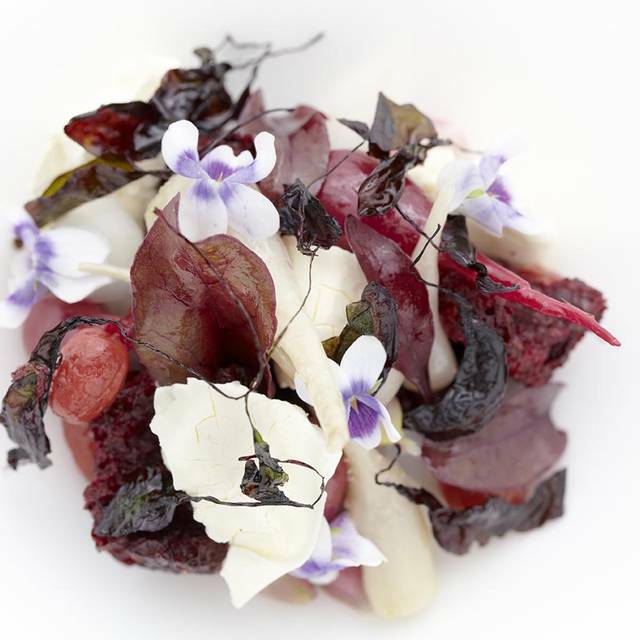 Brilliant food: ambitious, sophisticated, innovative, flavourful & just the right amount. Maybe, re-think some of the wines on your list; I don't know how a Barolo would go with most of your food! Took my wife to Quay for our 40th Wedding Anniversary. Our first time to this famous Sydney restaurant and we were not disappointed. The food was devine. Each mouth watering course having its own special flavours and textures. Wait Staff & Somelier were excellent & very acomodating. Excellent 8 course degustation complimented by attentive but not intrusive service. Sommelier was able to talk personally about different overseas vineyards and helped select an exceptional wine to accompany dinner. Had an 8pm table and by the time we finished dinner we were the second last table in the section we were in which reduced atmosphere a little - would book an earlier slot next time. Obviously an expensive dinner but worth it for the location and experience. We were lucky enough to have the degustation with premium matched wines - it was a very special occasion - exceptional, world-class dining experience. Exceptional food,although my duck was a little tough. Service was excellent, although staff could have kept more of an eye on the tables. No one asked if everything was to our liking. Also, had to call staff over if anything additional was required. We had the 4 course La carte Menu. whilst every thing was immaculately presented and quality of produced was of high standard the flavours at times were a little subtle and a little under whelming for the price tag payed unfortunately. Dessert the snow egg was amazing however and helped recover the rest of the meal. Food was ok, but the dessert is a must-try. Overall the food was lovely and inventive. The standouts being the deserts. But the mains were a disappointment. The duck was under cooked and the fish over cooked. At a restaurant of this caliber we would have expected consistency in each dish.